Give your baking the organic touch with Doves Farm Baking Powder. It’s gluten free, wheat free, and is suitable for vegetarians. To use simply add 2 level teaspoons of baking powder to 100g/4oz plain flour. Pack Weight: 110g. Mono calcium phosphate, corn starch*, sodium bicarbonate. Replace lid and store in a cool dry place. The Doves Farm Organic Baking Powder - 130g product ethics are indicated below. To learn more about these product ethics and to see related products, follow the links below. 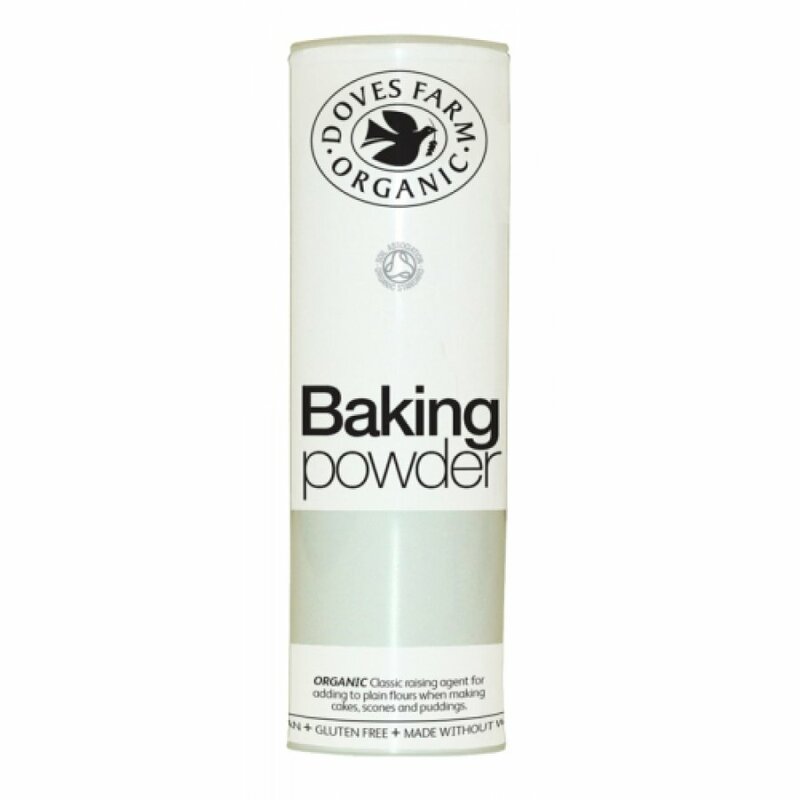 There are currently no questions to display about Doves Farm Organic Baking Powder - 130g.